As University student in Germany you are eligible for the low cost "student health insurance" provided by the public health insurance companies like AOK, TK, DAK, BKK, BEK, GEK, KKH or the Hamburg Münchener Krankenkasse. The monthly rate for your health coverage in this case will be everywhere almost the same, around 80 Euro per month. For example from 01.01.2017: 82,88 Euro per month or 84,50 Euro for the students over 23 years and without children. But be careful, the price is the same, but all the services included differ from company to company. 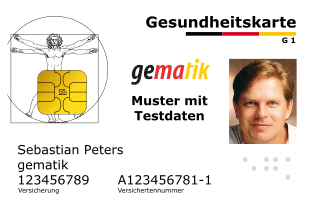 Language students, guest students, scholarship holders and doctorate students in most cases cannot use yet the public health insurance companies in Germany, but they can still use the special and even cheaper private health insurances starting from only 28 Euro per month. Details here ... . If you are a student over 30 years or have studied for more than 14 semesters in the university, you can choose between the public and private German health insurance providers. The cost of the public health policy (gesetzliche Krankenkasse) is about 120 Euro per month for all students over 30 years old. For a similar price in most cases, you can get also a private insurance tariff (Private Krankenversicherung or PKV) with much more personal benefits and excellent medical and dental treatment. To get free Quotes and compare the top private health insurances in Germany please read here ... .